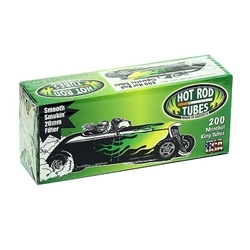 Hot Rod Menthol Filtered Tubes - Hot Rods have 20 mm filters that provide a smooth and mellow smokin’ taste! Choose a winner, choose Hot Rod Tubes! Available in king size length.